Preparing for cold weather involves a number of steps to ensure the turkeys in your care are comfortable throughout the winter season. By properly managing moisture, air flow, and temperatures, the turkeys in our care can keep growing and thriving even during extreme temperatures outside the poultry house. The first step in preparing your barn is to ensure that the house is tight and all unplanned openings are secured. 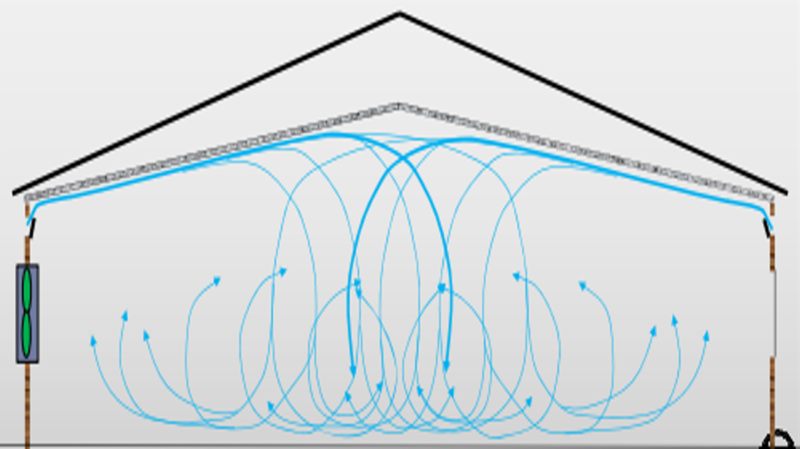 The next step is to control the airflow inside the house. 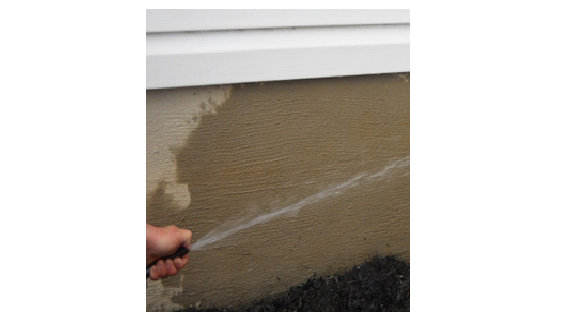 As a general rule of thumb, for every .01” of static pressure, air will ‘throw’ approximately 2-2.5’. Optimally, the air should be spread at least halfway throughout the house. Good air flow can be accomplished by controlling the inlet opening and through the use of stir fans. Remember, water and air will act very similar. 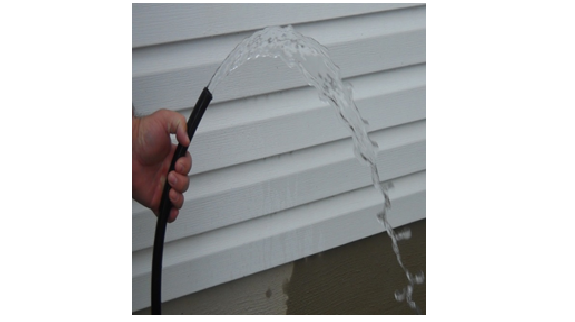 For example if you look at water flowing through a water hose, a larger opening will cause the water to flow down. But by reducing the opening, the water will travel further. 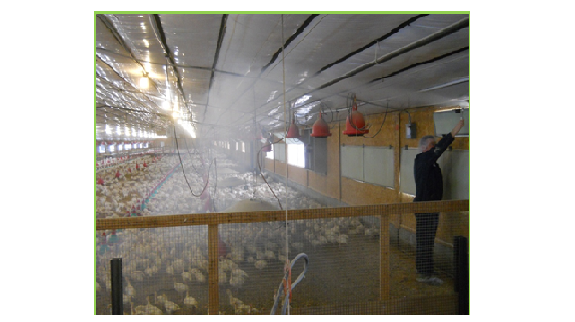 The same principles apply when controlling air flow in the poultry house. We can achieve good air distribution by applying more pressure at the inlet opening. The photo above demonstrates the use of a smoker to easily see the direction of the air. The incoming cool air is flowing from the inlets directly onto the birds. This will increase the chance of chilling and can lead to wet litter. After adjusting the inlets and measuring the tightness with a static pressure reader, the second photo shows how the air is now evenly flowing across the barn. Temperatures have increased and the demand on the heat stove has been reduced by 35-45%. Additionally, the use of stir fans can reduce or eliminate this stratification and assist in keeping turkeys comfortable. Circulation fans placed in an opposite position from the inlets can help to mix the warm air near the ceiling with cooler air near the floor. This will reduce drafts on the turkeys, reduce damp litter conditions, and reduce fuel use. 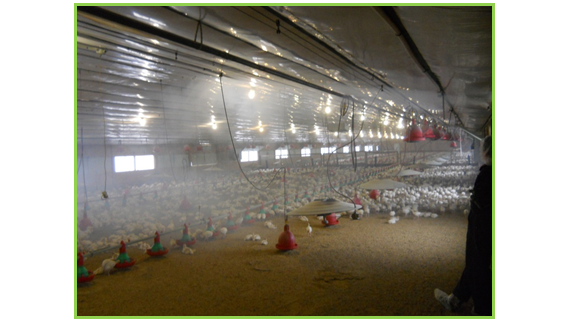 In conclusion, taking the time to look at how the air is flowing in the barn and then adjust will help keep your turkeys comfortable and thriving. The risk of poor air direction in a loose house is that heaters will be forced to work harder, leading to increased carbon dioxide levels. We will cover how to control and detect gases including ammonia, carbon dioxide, and carbon dioxide in the next installment of the cold weather preparation series.